Reverts to the cash advance rate. $79 Annual Fee. Offer Valid until April 2019. *Terms and conditions apply. Further interest-free* special promotion purchases at Travel Online and other selected outlets as offered from time to time. What is a special promotional purchase? A special promotion purchase is a nominated interest-free* transaction on your HSBC Visa Credit Card for the advertised offer period at participating merchants at the time of the transaction. Interest-free* means you will not pay any interest on the outstanding balance of your approved special promotion purchase during your interest free* period. You will be required to pay minimum monthly repayments as you would with any standard credit card purchase. Other transactions made with your credit card may incur interest charges. Upon expiry of your interest-free* special promotion purchase, any remaining balance will revert to a variable cash advance rate at that time. Can I make other interest-free* special promotion purchases with my card? Yes, you can use your card to make additional interest-free* special promotion purchases at Travel Online up to your available credit limit. 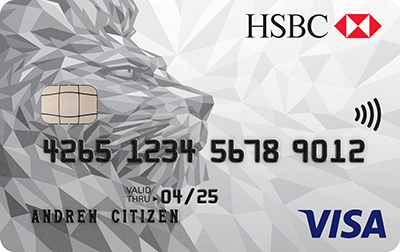 Simply select HSBC credit card when booking your holiday. The minimum monthly repayment is the higher of $20 or 3% of the outstanding balance shown on your credit card statement issue. You must pay at least the minimum repayment set out in each statement on or before the due date. This is the date HSBC should receive your payment, not the date on which you make the payment. You should allow sufficient time for payments to be received and processed by HSBC before the due date. *Interest Free Finance: Interest free finance is applied only to promotional transactions for the specified period. Balances outstanding at the end of the promotional period will form part of the normal account balances and will accrue interest at the cash advance rate current at the time. A $79 annual card fee applies. Monthly repayments are required and calculated at 3% of the outstanding balance or $20, whichever is higher. Lending criteria, terms and conditions, fees, and charges apply and are available on application. Minimum purchase $1000 for 12 Months Interest Free. Credit provided by HSBC Bank Australia Limited ABN 48 006 434 162. Australian Credit Licence 232595.